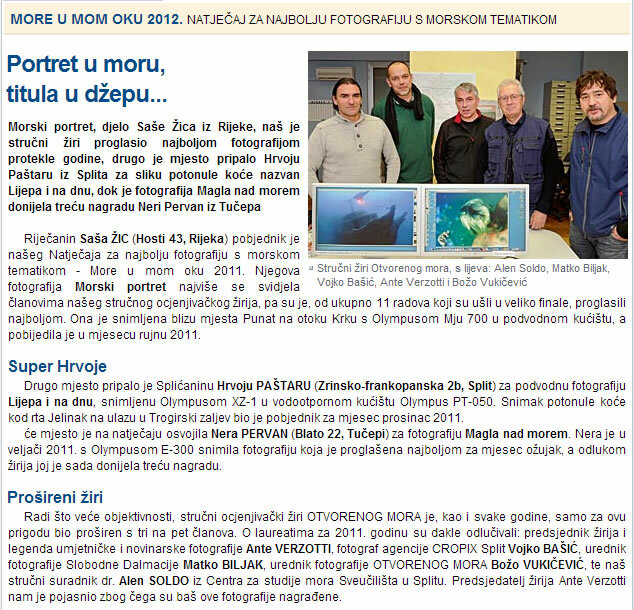 I participated at Sea festival, first Croatian festival of underwater photography and film that was in Rijeka in November 2005. 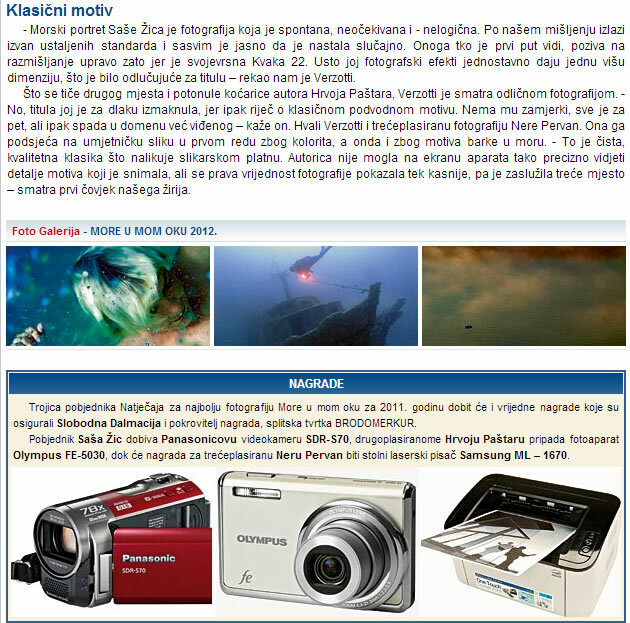 I accomplished a very good results, specially in category Wrecks, there were 32 pictures in category, where my picture Čiovo 1 took 5th place between a real underwater photography masters in wreck photography like Danijel Frka and Miha Frlec, so I am very happy with that rank and it gives me a more enthusiasm to continue making underwater pictures. Also i achieved good results in Festival in year 2006. In 2007. i received 2.nd prize award in category wrecks. In my career of underwater photograph the best award so far.